Review: Broadcast, 'Berberian Sound Studio' Though it was recorded as the soundtrack to a psychological thriller, Berberian Sound Studio actually works best when the listener's eyes stay shut. Broadcast's James Cargill and Trish Keenan. The band was working on the Berberian Sound Studio soundtrack when Keenan died suddenly in early 2011. The music world suffered a devastating loss when Broadcast's Trish Keenan died of complications from pneumonia two years ago; she was only 42. The U.K. singer could make seemingly random words shimmer with power and poignancy, as if she were casting a spell. With partner and bandmate James Cargill, Keenan released four widely loved albums during the '00s, and in the process left an indelible mark on the history of underground music. At the time of Keenan's death, she and Cargill were working on the soundtrack to a psychological thriller called Berberian Sound Studio, an independent film about a sound engineer who loses his mind while working on the set of a kitschy horror movie. It was the perfect project for Broadcast, whose music often mined the subconscious. Cargill took Keenan's recordings for the score and pieced together a gorgeous tapestry of sound that's as serene as it is spooky. Almost devoid of drums or repetition, these tiny vignettes float by one after the other, no one track explicitly memorable on its own but unmistakably Broadcast when consumed in succession. It's rare that an original score works so well as an audio-only experience; in that regard, the Berberian Sound Studio album (out Jan. 8) recalls Popol Vuh's 1970s work for Werner Herzog. Visuals aren't necessary to lose yourself in this music. If anything, the album works best when the listener's eyes stay shut. 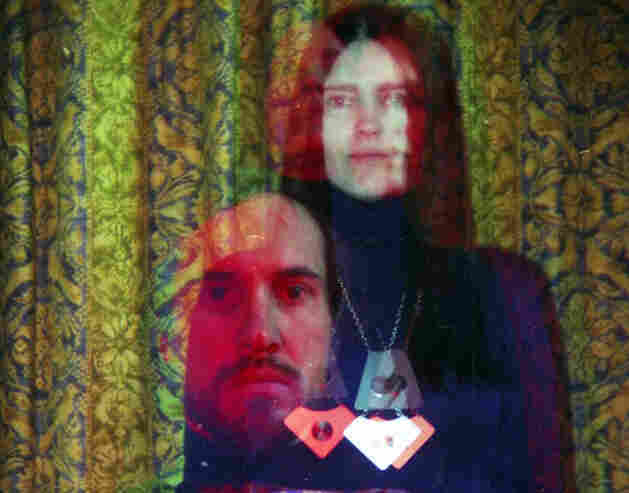 For fans of Trish Keenan and Broadcast, Berberian Sound Studio is a godsend. For those who haven't yet discovered the mysterious, wonderful music they made together, may it act as a gateway into one of the finest bands of the 21st century.